If you're a bellydancer, a belly dancing festival is the perfect way to spend a weekend - but they're not just for dancers, because they offer a great opportunity to see a variety of performers in different styles and at different levels. Who knows, you might even be inspired to learn! 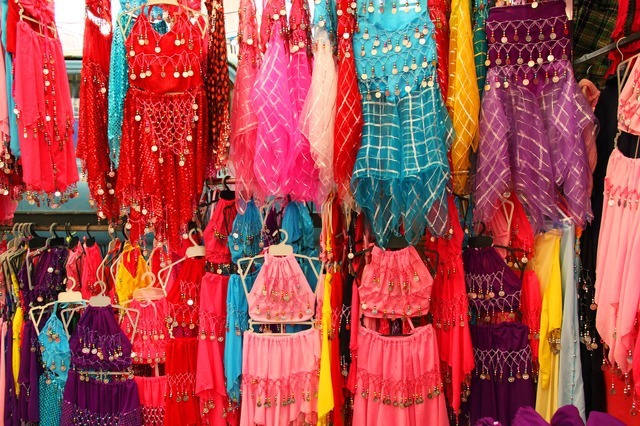 What is a Belly Dance Festival? For students the main attraction of a Festival are the workshops, which may run all day on Saturday, spill over into Sunday or even run for several days either side. It's a great chance to work with other teachers - sometimes famous ones - and learn new aspects of their craft. However, a typical Festival will also include a theatre show on Friday or Saturday night, and the Sunday is an all-day event combining belly dance performances and shopping. It is usually held in a large hall, and while the dancers swirl on the stage, you can browse the market stalls dotted around the room, full of exotic sparkling costumes, jewellery and accessories. Entry is usually cheap ($10 for the whole day), because the performers are mainly students, but the quality of the dancing is often very good and it's a great introduction to the art of belly dance if you're curious. Sydney is spoiled for choice, because as well as our own Middle Eastern Dance Festival (held in Canterbury), we are within easy reach of two more - Newcastle and Wollongong. The Sydney Middle Eastern Dance Festival was the first such festival in Australia and dancers still come from all over Australia and New Zealand to attend every year. It has not one evening event but two -- one a gala theatre performance, the other a dance party to live music. The Newcastle Belly Dance Festival started small but has gone from strength to strength in recent years and is now challenging the SydMedFest as the premier event. It has the advantage of taking place in February, at the beginning of the belly dance year. Not to be outdone, Wollongong puts on an impressive show at the other end of the year, in September/October. Finally, Sydney gets another local event every other year when the Tribal & Trance Festival comes to town. American Tribal Style is a unique form of belly dance, invented in the US in the 1960's and now hugely popular worldwide. The next Tribal & Trance will take place in 2016.